[Answerkey] UPSC Prelim-2018: History, Art & Culture is SADISTICALLY Tough & Unjustifiable through "SAPNA-Theory"
Should you take History Optional ? Strategy for Prelims-2019: How to study History? On 3rd June 2018, UPSC conducted Prelims exam for recruitment in IAS/IPS and other civil services. Paper-I consisted of 100 MCQs from general studies. For that, I’ve already published answerkey for Science, Polity and Environment, Geography and International Relation answerkey and their strategies for the next year. Nothing from Indus Valley or Aryan civilization, unlike 2017. May be examiner was so tired of the representations against Indus Valley Horse MCQ last time that he decided to play safe but not touching that era altogather! Medieval dictionary / occupations not asked. No Mahattar, Pattakila, Araghatta, Eripatti, Taniyurs, Ghatikas or any other dictionary stuff this time. Just one MCQ on French traveler who wrote about Indian diamond mines. Last two years’ love for Southern dynasties is now replaced with Southern poets: Tyagaraja and Annamacharya asked. Last year asked about Sun temples, this year about Islamic architecture construction material. State specific obscure dance / festival / craft with special focus on North East: this type of MCQs again asked just like 2017. Affection for low-profile freedom-organizations continuous: Last year about Madras Mahajan Sabha etc, this time about Swarajya Sabha. Communist-Prem also continues: Last year about Trade disputes Act, this year about Hind Mazdoor sabha. This year bit unusual because asked two questions from under Post-Independent India: 1) Hind Mazdoor Sabha (1948) and 2) Chronology of Air India to Goa’s independence. Prelim-2017 had 4 Easy + 1 Medium + 9 Tough = 14 MCQs. Prelim-2018 has 6 Easy + 2 Medium + 13 Tough = 21 MCQs. Examples: Tyagaraja MCQ, just because 2017 was his 250th anniversary, so you were to get a dream that UPSC would ask whether Annamacharya who was born ~265 years before him, was Tyagaraja’s contemporary or not? Puthukkuli shawls related article appeared in theHindu, so whatever shawls, towels, sarees, napkins and handkerchiefs appear in Hindu, you’re supposed to make its compilation. There is an MCQ about sarees and shawls of 3 states. Another MCQs asks about festival / dance / ballad of 3 NE states. Third MCQ asks about institutes founded by 3 different individuals. Then, “Which of these three Committees / acts” responsible for English education. There are two chronology based questions: one before independence (Neeldarpan to Anandmath: four events) and one post-independence (Air India takeover to Goa independence: four events). Thus, atleast 10 out of these 21 MCQs are of such nature that you’ve to know validity of 2, 3 or 4 statements / terms to arrive at the correct answer. This too makes history section quite tough. Out of 100 MCQs, 21 were from History-Culture, whereas 13 Polity and 8 International Relation (IR) questions. But, as I had pointed out earlier, most candidates spent inordinately large amount of time in Polity segment because 1) False-pride 2) Guessmaster-giriTM could only lead to elimination of 2 out of 4 options but after that stage, it became too difficult to walk away without ticking 3) good number of polity MCQs were “applied” in nature. So, candidate had to spend more brain power (and time) in solving them. Whereas, in History, very few questions required you to think and interpret history. Most of the MCQs are factualGK: “Sthanakvai=Jainism”, “Maitreya=Future Buddha”, “Bani-Thani=Kishangarh”, “Founders of Hind Mazdoor Sabha”…you either know this or you don’t know this. Very few History-MCQs required interpretation of history, e.g. “Economic consequences of British rule”. Majority of the History MCQs didnot contain any meta-keywords / structures that could help the Guessmasters eliminate the wrong options. So, history was a ‘tick it OR leave it’ scenario against Polity’s “overthink it AND then must tick it” scenario. Because of these reasons, History’s 21 MCQs were much faster to process compared to Polity’s 13 MCQs in the real exam-hall. I publish the answerkeys in topicwise manner but the actual question papers contains 100 MCQs in a sequential manner. Left-side page contains English MCQ and Right-side page contains their Hindi translation. There are total 43 pages in the question booklet. Now observe the sequence of 21 History MCQs in the Paperset-D. I’ll write the question number in a new bullet whenever the continuous numerical sequence is broken. First solve whatever 30-40-50 MCQs you can solve confidently. Then again go through the paper, and solve additional 20-30 MCQs by guesswork and calculated risk. Some of your answers will get wrong, nonetheless you make gains via law-of-averages because correct answer gains +2.00 marks whereas penalty for wrong answer is only -0.66. In the online exam such as CAT and IBPS, there is option for “Mark and Review”. But UPSC CSE is conducted in pen-and-paper mode. It’s very tedious to mark and review 20-30 MCQs’ question-numbers & page numbers in the last rough-page. So basically candidates scan through the whole paper again in the second round. But because of the ‘roadblocks’ created by tough MCQs, it decreases their speed and efficiency in wading through the 43 pages of question booklet. Therefore, a better strategy is to use a red / black pen to completely strikeout the question which you can’t solve through any blind guess or calculated guess. Then such “UNSOLVABLE MCQS” will not block the view, and you can process the second round in much efficient manner. 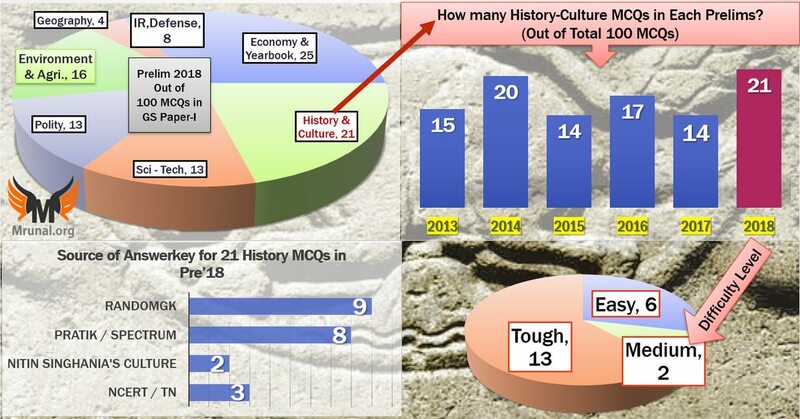 Should you take History Optional because 21 MCQs asked from here? Syllabus of History is lengthy. Majority of the first-attempt candidates can barely finish history-optional’s syllabus before the prelims, let alone revising all the advanced-GK embedded inside it. So, unlikely that first-attempt-history-optional-player ticked with more accuracy than non-History-optional player. In the Mains, History Optional Paper-II, Map / location based 2-markers GK is asked. But beyond that, History is descriptive and analytical paper. Yes, there were advanced-History-GK MCQs that senior players from history-optional could have solved more easily e.g. Jean Tavernier = Diamonds, Lajpat founded American Home-rule so he must be guy stayed in USA for a while, Arthur Wellesley vs Lord Wellesley are two different persons etc. But even they couldn’t have mugged up or came across all the advanced-History-GK that was asked in Prelim-2018. History optional also overlaps with General Studies Mains Paper1. So yes there is some advantage gained in Culture and Freedom struggle. However, the portion of World History and Post-Independent India is continuously shrinking. In the last FOUR years, there has been ZERO question from Post-Independent India in GSM1, and World History has shrunk from 50 Marks (GSM1-2013) to just 10 marks (GSM1-2017). So, in the mains exam, if you look at the number and complexity of questions with overlapping in the respective optional subjects of History, Geography, Political Science, Public Administration, Anthropology etc… It’s a mixed picture. In some years, the Mains GSM1 geography is so complex that Geo-optional walla seem at advantage, and there are years when UPSC asks very straight forward question or totally unexpected question e.g. how JUNO mission helps learning about earth’s origin? (GSM1-2017)…thus giving hardly any advantage to them. Therefore, it’s **misleading to say “ALL the History Optional-walla had MEGA-advantage in Prelims-2018**, therefore it’s the BEST optional to select for CSE-2019“. You should select an optional subject depending on your interest, patience, guidance and the availability of material to prepare it. Old NCERT contain lot of factualGK, bloody history and very few black-&-white photos. Whereas NEW NCERTs contain lot of colorful photos, and a very secular history with relatively less factualGK. According to new NCERT no Indian king killed, oppressed or plundered anyone. Every Indian king built magnificent monuments, wrote poems, blew pipudi (small flute) and sang songs. Britishers were the only evil persons in Indian History. In 2007, new NCERTs for History came into circulation. But for a few initial years, UPSC kept using question bank from the old NCERTs (i.e. factualGK bloody-war type MCQs), so the toppers from that era keep saying “you must read OLD NCERT”. But, The number of pages and amount of GK that you’ve to memorize from old-NCERT to gain the advantage of 1-2 MCQs… it’s has very poor Cost:Benefit. Even the World History-walli old NCERT has little utility in Mains ever since Pratik Nayak has released the entire World History youtube lecture series in a much better and comprehensive manner. On the other hand, you could solve atleast 3 History, 2 Environment, 2 Polity, 2 Science and 3 Economy MCQs from new NCERTs with relatively less effort. Even in the lower tier exams where History MCQs are factualGK type, you can make do with LucentGK+Spectrum’s Brief History of Modern India | हिंदी में भी उपलब्ध combo or TamilNadu+Spectrum’s Brief History of Modern India | हिंदी में भी उपलब्ध combo. So, no need to waste time on Old NCERTs, unless you’ve plenty of time to waste. Freely available PDF. Click me. They have balanced mixture of factualGK and analytical history. Useful for both UPSC and State services alike. They move in a proper sequence and comprehensively cover the entire ancient-medieval-modern Indian history, unlike new NCERTs which completely ignore certain bloody/dark eras of India history, and directly jump from Harappa to Sufi/Bhakti to British-Indian-cities to attainment of freedom, as if nothing happened in between those events! If time permits, NIOS Culture PDF | ગુજરાતી માં પણ ઉપલબ્ધ . It has good content but lot of overlap with Nitin’s book. So, if you try to be Harry Potter’s Half Blood prince i.e. “I’ll manually write the GK from NIOS to Nitin’s book’s page-margins”- then you’ll get tired and yet gain very little. IGNORE A.L.Bhasham and other higher level book, even though a few randomGK MCQs can be solved from it. 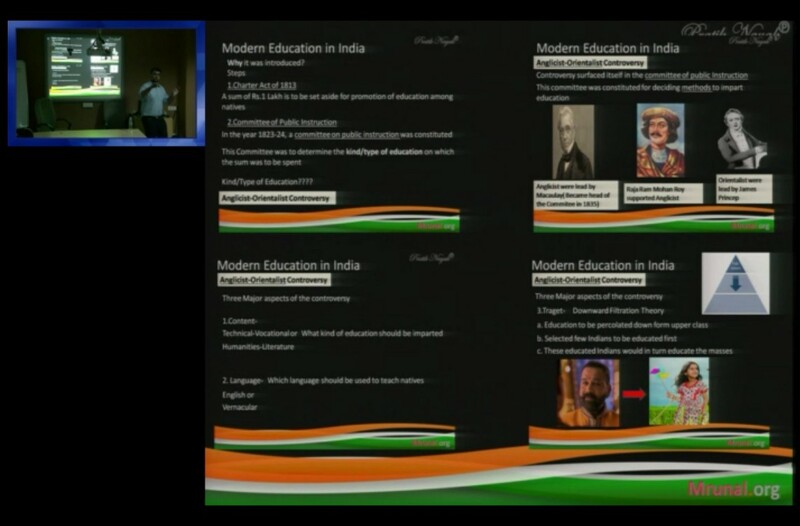 Pratik Nayak’s Youtube Lecture series on Freedom Struggle. It’s a mixture of Spectrum’s Brief History of Modern India | हिंदी में भी उपलब्ध type gist on one hand, and Bipan Chandra type analysis on the other. Useful at both Prelims and Mains. His Powerpoints are also available for free. You can also use Spectrum’s Brief History of Modern India | हिंदी में भी उपलब्ध. For Mains: Bipan Chandra level analysis is already done in Nayak’s lecture & powerpoints so, you may skip that book. Besides, in Mains GSM1, the examiner is slowly moving ‘beyond’ Bipan Chandra (e.g. Fragment Mughal Polity question in GSM1/2017), so you’ll gain more by referring Plassey to Partition by Sekhar Bandyopadhyay | हिंदी में भी उपलब्ध. In this scenario, cost: benefit of studying advanced level world history books by Jain and Mathur or Arjun Dev= poor cost:benefit. Although it’s part of syllabus but ZERO questions asked since 2014. Nonetheless, it has to be prepared upto a certain level just to be safe, and because some related questions are asked in GSM2 and GSM3 (e.g Green revolution and land reforms). You can cultivate the taste from NEW NCERT Political Science Class 12. Afterwards, selective study of Bipan Chandra’s India Since Independence. My revision article-series on Land Reforms– for GSM1 and GSM3. Difficulty: Tough, not available in the routine books for history / culture. Guessmaster-giriTM doesn’t HELP. Because GM-Rule#5: Word-association, “-vasi” suffix suggest that word could be associated with Hindi / Gangetic belt, but in that case it could have been Vaishnavism also. Red sandstone and marble were used in making Ilara Imambara and Rumi Darwaza at Lucknow. Difficulty: Tough. Who can memorize such small details about every monument? And not all four of these monuments are covered in an individual books for Art and Culture. Nitin’s book says, “Buland Darwaza the imposing 40 metre red sandstone structure was built in 1576 AD, to commemorate Akbar’s victory over Gujarat. It is the largest gateway of the world.” But it doesn’t mention whether White marble is used or not. However, ICSE Class 9 textbook Page 150 says Buland Darwaza constructed in red and yellow standstones with white marble inlay in the span of the arches. Other random google books reveal that Khankah too contains white marbles. So, statement#1 is right. Difficulty: Tough. While the term Maitreya is mentioned in NCERT, Std 11, Introduction to Indian Art, Chapter 4, Page 35. But, it doesn’t refer to him as future Buddha. Nor it’s given in the other routine books. let’s also learn about the wrong options, lest they’re asked in future exams: Avalokitesvara (watchful lord), also called Padmapani (lotus-bearer), whose attribute is compassion, which reaches down even to Avichi, the lowest Buddhist purgatory. Loksesvara is also used as a synonym for him. Difficulty: Tough because not in routine books. And even if it were given, difficult to memorize and recall all 617 approved / pending entries of Geographical Indicators from India. Yes, Random theHindu articles covered these terms in 2017 but I don’t subscribe to the “Sapna-Theory” that you were supposed to make your own compilations of all arts, craft, beaches, flora-fauna, hybrid varieties and dino-discoveries that are reported in theHindu. Answer: Got to this GI registry page of India, click on “Show all entries”, then find it among the 617 entries! Sujni embroidery- Incorrect. It belongs to Bihar. Upada Jamdani Sarees- Incorrect. It belongs to Andhra Pradesh. Difficulty: Medium, because although it can be solved directly from Nitin’s book but in real-exam stress a candidate can get confused over closely located NE states vs. dance / festival. Answer: Nitin Singhania’s Culture Book | हिंदी में भी उपलब्ध Ch5- Indian Music, Subtopic: Folk Music, Folk Dances of India. Khongjom Parva is an important folk music from the state of Manipur. It is a popular ballad genre which is a musical narration of the battle of Khongjom fought between the British army and the Manipuri resistance forces in 1891. So, statement#2 is right, this eliminates A and C.
Difficulty: Easy given verbatim in Nitin’s book. Answer: Nitin Singhania’s Culture Book | हिंदी में भी उपलब्ध Ch.2 on Indian Paintings. Subtopic: Classification of Indian Painting. Paintings at Kishangarh is associated with the most romantic legends – Sawant Singh and his beloved Bani Thani. and of the intertwining of lives and myths, romance and bhakti. It is sometimes argued that the women in ‘bani thani’ is said to resemble the character of Radha. Difficulty: Tough, because Annamacharya not covered in routine books. 2017 was the 250th birth year of Tyagaraja. and Annamacharya’s name was mentioned in Vice President’s PIB speeches related to M.S. Subbulakshmi in 2017. However, this is not say that you were supposed to get a “Sapna / divination” do PHD on all composers of Carnatic / Bhakti music, because that is not practicable. Answer: Nitin Singhania’s Culture Book | हिंदी में भी उपलब्ध ch. 18 Fairs and festivals of India subtopic: Secular festivals: “Saint Tyagaraja along with Muthuswami Dikshitar and Shyama Sastri, comprise the Trinity of Carnatic music.” Then going by a gut-feeling that if Annamacharya was a ‘real contemporary’, then his name would be among the Trinity. Hence statement#3 is wrong, A, C and D eliminated so answer is B: 2 and 4 only. Still, in real exam stress, it’s tough to even recall the names of Carnatic Trinity, and there is always a risk that Annamacharya could have been a ‘low profile’ contemporary of Tyagaraja, hence not covered in routine books. “Ours is the land which reverberated to the music of Annamacharya in the 15th century”, says Vice President in PIB Speech- 2017 Nov. So, definitely Annamacharya and Tyagaraja (born in 1767) can’t be be contemporaries. By elimination we get B: 2 and 4 only. Guessmaster-giriTM possible, if you go by their GM-Rule#2 that all dates / figures related statements are always wrong, then #3 ought to be wrong and by elimination you arrive at correct answer #WITHOUT-STUDYING-ANYTHING.. Difficulty: Tough. Although this is indirectly hinted in NCERT but difficult to recall and take risk in real exam stress. Because you couldn’t exactly remember whether it Jean Tavernier vs Jean Thevenot? Yes, a PHD scholar Dr. Balakrishan had written a column in theHindu, 2018-Jan that French gem merchant, Jean-Baptiste Tavernier acquired Hope Diamond from Kollur mines in Andhra Pradesh in 1666. But I don’t subscribe to the “Sapna-Theory” for the reasons already mentioned in the opening part of this article. Krishna Reddy’s Indian History ch.12 on Mughal Culture: Tavernier was another French traveler who visited India between 1640 and 1667. Being a diamond merchant, he was particularly interested in diamonds and visited various diamond mines in India, especially those of the Deccan. Jean De Thevenot (1626): one of the first French travellers, graphically describes the cultivation of indigo and the extent of its cultivation in his book Remonstrantie. Frenchman, Francois Bernier (1656– 58). His book Travels in the Mughal Empire mentioned the life of the peasantry, their poor conditions, towns, industries, life in the countryside and the urban culture and, above all, the major manufactures of India. Difficulty: Easy, covered in all routine preparation sources. 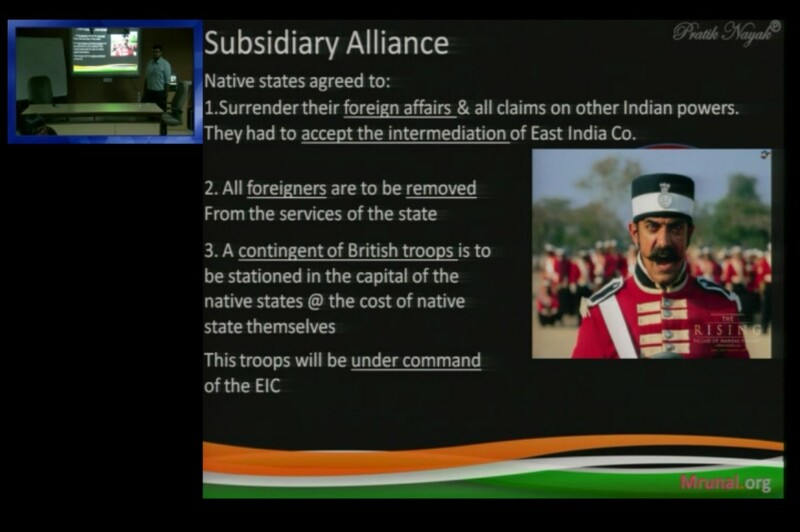 Pratik Nayak’s History lecture on Youtube HFS2/P1: British Treaties– Subsidiary Alliance & Lord Wellesley. Point A, B and D were the salient features of Subsidiary Alliance, hence “C” doesn’t apply. Alternate source: TN Class 12 Page 25-26. Difficulty: Tough because this particular Freedom fighter GK not covered in routine books. Answer: Lala Lajpat Rai founded the Indian Home Rule League in the US in 1916 (TN History Class 12 book, page 150). So, he’s the closest match. ICSE History textbook class 10 page 110 confirms that he indeed wrote those biographies Mazzini, Garibaldi et al. Difficulty: Tough because second statement’s validity not given in routine material. NEW NCERT Class 12 Themes-III page 272: It was after the Santhal Revolt (1855-56 ) that the Santhal Pargana was created, carving out 5,500 square miles from the districts of Bhagalpur and Birbhum. The colonial state hoped that by creating a new territory for the Santhals and imposing some special laws within it, the Santhals could be conciliated. So statement#1 is right. Anti-GuessmasterTM because their GM-Rule#1: extreme worded statements are always wrong. #2 is basically saying no santhal can sell any land to non-santhal- so it ought to be wrong. Besides, a Guess-master would also think that since British wanted Zamindars / outsiders to ‘move in’ to the jungle areas for exploitation purpose so #2 could not have happened. Difficulty: Tough, although it’s given in routine books but difficult to recall exact years of these closely packed events between 1859-1882. 1863: Satyendranath cleared British-UPSC without coaching. Difficulty: Easy for anyone who has prepared freedom struggle in a diligent manner. 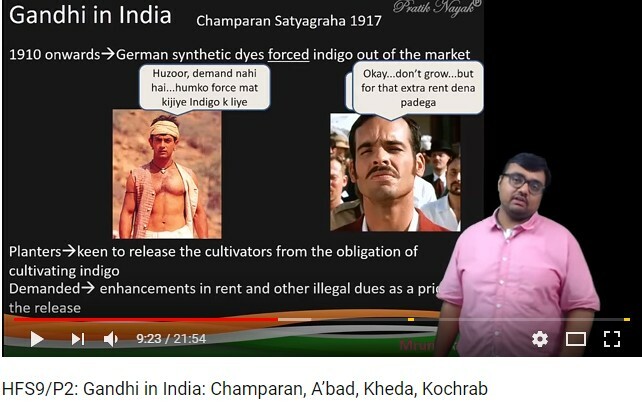 Answer: Watch Pratik Nayak’s HFS9/P2: Gandhi in India: Champaran, A’bad, Kheda. Option A, B and D are irrelevant to Champaran Satyagraha. Champaran Satyagraha completed 100 years in 2017, but this was a straight-forward question, so you had to prepare it irrespectively, whether you got 100 years’s “सपना” or not. Guessmaster-giriTM can only help narrowing down the choices. GM-Rule#1 extreme worded statements are always wrong so A and D ought to be wrong. Difficulty: Tough. Not given in routine books, and even if it were given, difficult to memorize and recall such low-profile term in real exam! While we are at it, let’s also gain knowledge about the wrong statements, lest it’s asked in future exam! South India Liberal Federation (SILF), aka Justice Party, as was officially known at the time of its founding in 1916. EV Ramaswamy Naicker aka Periyar is prominent personality associated with it. Hindu Mahasabha was founded by Madan Mohan Malviya and some Punjabi leaders in 1915. Guessmaster-giriTM can only help narrowing down the choices. GM-Rule#5: “Word association”. Swarajya /self-rule as a word/idea associated with Gokhale (Servants of India) and Tilak (Home rule / freedom is my birth right.) So, answer could be A or D. But even arriving at this stage to apply GM-Rule#5 requires a lot of background knowledge, so, this is not ‘guessing’ per se. Difficulty: Tough, although these are covered in routine books. But in real exam stress, candidate would get confused over Arthur Wellesley / Lord Wellesley. In 1791 due to the sincere efforts of the British resident, Jonathan Duncan, a Sanskrit College was established to promote the study of Hindu laws and philosophy in Banaras. And Sir William Jones is associated with Asiatic Society of Bengal (NCERT themes-II page 232). So, #1 is wrong. A and C eliminated. Fort William College was established by Lord Wellesley (1798) for the training of civil servants. Arthur Wellesley was the brother of Lord Wellesley who fought the 4th Anglo-Mysore war against Tipu Sultan. Arthur Wellesley, forced Tipu to retreat to his capital Srirangapattinam. (TN Class 12 page 29). So #3 is wrong, C and D eliminated. Thus by elimination, we are left with B: only 2, and we must accept without proof & memorize that Calcutta Madrassa was indeed founded by Hastings (lest they ask in next prelims). Difficulty: Easy, covered in all routine books, and nature of statements are such that it doesn’t require much mental effort in recollecting GK type factoids. 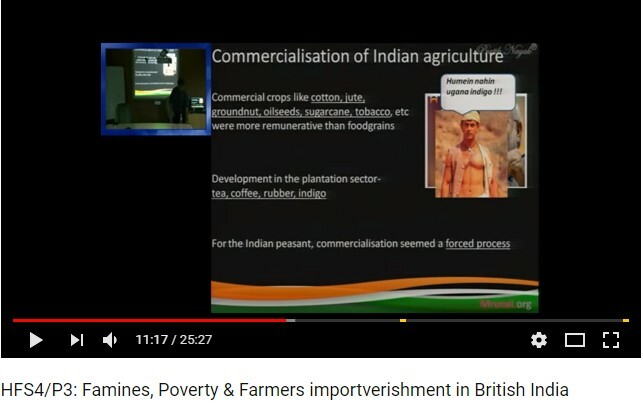 Pratik Nayak’s History lectures on Youtube- HFS3/P1:British India: Education & Socio-cultural Policy. At 17:46 minute: “Wood’s dispatch recommended that Primary and secondary education should be in Vernacular language.” so statement#3 is wrong, and by elimination we are left with Answer A: only 1 and 2. Alternate source: Spectrum’s Brief History of Modern India | हिंदी में भी उपलब्ध ch. 10 on Education. Guessmaster-giriTM possible, if you go by their GM-Rule#1 that all extreme worded statements are always wrong then #3 ought to be wrong and by elimination you get the right answer A, #WITHOUT-STUDYING-ANYTHING.. Difficulty: Medium because routine books cover only Macaulay’s committee (1835) and not this 1823’s Committee, so even if you’re sure about 1 and 2, you could have second thoughts about picking A or D.
Answer: Pratik Nayak’s History lectures on Youtube- HFS3/P1:British India: Education & Socio-cultural Policy. All three are correct. Guessmaster-giriTM possible, if you go by their GM-Rule#4 that in UPSC “3tf MCQ” (3-statement-true/false), IF each individual statement contains barely 1-2 words then all of them are correct. Ofcourse, this MCQ has four statements but the skeleton is similar, so, you directly get the right answer D: 1, 2, 3, and 4; #WITHOUT-STUDYING-ANYTHING. Difficulty: Easy, covered in routine prep. sources. Difficulty: Easy, given in NEW NCERT. From the above lines, Option D seems the closest choice. Still, for the satisfaction of Hairsplitters, let’s cross check whether saltpetre is correct? “Indigo and saltpetre were the other major imports from India, and the fact that both products were produced in the eastern Gangetic plain, especially in Bihar, stimulated British efforts to establish factories on the east coast as well as the west coast of the Indian subcontinent.” So Saltpetre was indeed exported otherwise British wouldn’t have made efforts to setup factories on East coast. Difficulty: Tough, not available in the routine books for history / post-independence. The Founding Conference elected Com. Ashok Mehta as the General Secretary and Com. G.G. Mehta and V.S. Mathur as Secretaries. Ms. Maniben Kara and Com. T.S. Ramanujam were elected as Vice-Presidents of HMS. So, D is most fitting. Guessmaster-giriTM can only help narrowing down the choices. GM-Rule#5: “Word association” Option A and C have people with Southern names, whereas Hind-Mazdoor sounds like a northern / gangetic belt organization. So, they don’t fit. Similarly, those who know brief biographies DeenDayal Upadhyay- he worked in a different organization & different set of ideas. So, he doesn’t ‘fit’ well with J.P.Narayan (Socialist) and MN Roy (Communist). This means A, B and C are irrelevant and we get correct answer D. But arriving at this stage to apply GM-Rule#5 requires a lot of background knowledge, so, this is not ‘Guessmaster-giriTM’ per se. Difficulty: Tough because while every serious candidate knows Imperial Bank to SBI happened in 1955 (in the course of Economy/ Banking Sector Evolution) and Goa independence was in early 60s (in the course of Polity preparation). So, 2 comes before 4, so, A and C are wrong but still you’ve two options left. And, post-independence India comes in Mains syllabus, so candidates don’t prepare in-depth factual GK. And yes, Air India had been in news because of its proposed privatization in Budget-2018, and SBI had been in news because of merger of its Associated banks and BMB WEF 1/4/17. But I don’t subscribe to the Sapna-Theory here, because ‘Established in _ _ year / Chronology’ type MCQs are very rare in Economy. So candidates don’t pay that much attention to it. As early as in 1957, the Congress party had the bitter taste of defeat in Kerala. In the assembly elections held in March 1957, the Communist Party won the largest number of seats to the Kerala legislature….The governor invited E. M. S. Namboodiripad, the leader of the Communist legislature party, to form the ministry. For the first time in the world, a Communist party government had come to power through democratic elections. This means 1 comes in between 2 (SBI-55) and 4 (Goa-60s). Correct option should have this pattern: _ – 2 – _ – 1 – _ – 4-_. Third event could be in any of these blank spaces. Only Option B fits this pattern. And just to gain GK knowledge: In 1953 Air India Nationalisation- took place. Before that it was owned by the TATA Group. In 1962, December Goa became part of Independent India. The Indian armed forces had to conduct a military operation named operation Vijay. Pratik Nayak is a nationally acclaimed faculty for History, famous for his youtube lecture series on Indian History and World History. 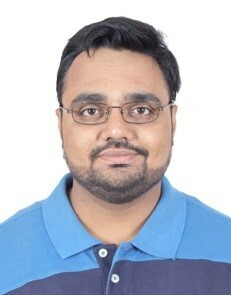 He is the director of Pratik’s Academy for Competitive Exams-PACE. Within the first year of its inception the academy has generated 22+ selections in Gujarat Public service commission exams and 2 Selections for UPSC. Really a nice and guiding article. A genuine effort undertaken reflects. Waitjng for the question analysis and further strategy for other sections on the paper. Sir,is baar optional papers(particularly history) ka bhi analysis kr dijiyega sir.plz.net pe itna sara source h samajh nhi ata kya follow kre.jis tarah se ap prelims k analysis kiye h vaise optional ka bhi kr dijiyega sir.plz.plz sir. Future Buddha available in Lucent Gk. For art n culture every Sunday The Hindu column “Where stones speak of” very good source Buland Darvaza n Rumi Darwaja verbitam available in this column. Sir ji , I think sathyendranath Banerjee was able to pass civils for the first time as he was not derided by online forums and Chanchal tatvas like “excite about India ” and ” ICS Baba” and “fulcrum IAS” AND didn’t bogged down with their TEST SERIES ; instead he did followed one altruistic guidance with inquisitiveness , as he did spend money on purchasing books than test series. About Q.9, Spectrum book on history do talks about decrease of plantation in a decade. “Keeping India safe”…?? is it a part of subsidiary alliance?? It is debatable if you read old NCERT it clearly mentioned paramountacy and fixed subsidy for maintaining forces . So your query is valuable I have marked c option but UPSC may gave option b right . Analysis done of the paper is deep. Particular reference is to “BLOCKS the view” concept. I believe you have a lot of “empathy” for “exam hall placed candidate”. भारतीय राज्य को ब्रिटिश सेना रखनी होगी और उसका खर्च भी राज्य ही उठाएगा. यह सब कहने के लिए सुरक्षा के लिए था मगर वास्तव में कंपनी को “”खिराज””(something like टैक्स या फिर बड़े राजा द्वारा छोटे राज्य से लिया जाने वाला धन) दिलवाने का नया तरीका था. सहायक संधि के अनुसार कम्पनी आंतरिक मामलों में दखल नहीं देगी. opening line “यह एक मैत्री संधि थी “, इससे नेपोलियन का खतरा टल गया. बाकी सब NCERT के जैसा ही लिखा है. 1, खर्च जो है वो देसी रियासत करेगी और कम्पनी की सेना मुफ्त की रोटी तोड़ेगी. 2. नेपोलियन का खतरा टल गया, मतलब इसका खतरा था. NCERT के अनुसार दो चीज़ है एक तो दूसरे के खर्चे पर सेना रखना और दूसरा खिराज का जुगाड़ भी कर लेना. मतलब कुछ डोनेशन तो देना होता होगा. अब ये डोनेशन फिक्स था या मनमाना मांग होता होगा?? अगर ये एक एग्रीमेंट है तो income फिक्स रहता होगा. देसी रियासत को सौदा मंजूर होता होगा तब तो हस्ताक्षर करते होंगे. किसी अनिश्चित राशि के लिए कौन तैयार होता?? Opening line “मैत्री संधि ” और आंतरिक मामलों में दखल ना देने की बात…. से यह तो नहीं लगता की ब्रिटिश सर्वोचता स्थापित करने के लिए इस संधि में बात होगी. क्योकि फिर देसी रियासत हस्ताक्षर क्यों करते पूरा freedom struggle पढ़ने से तो यही लगता है की उनको उनका रियासत देश से भी ज्यादा प्रिय था. हालांकि बाद में इसके परिणाम स्वरुप ब्रिटिश सर्वोचता स्थापित तो हो गयी but वो संधि व्यवस्था का उदेश्य ना होकर परिणाम था..
Answer जो भी हो but केवल एक शब्द “Fixed ” लिख देने से UPSC ने ऐसा कौन सा अपराध कर दिया की अनेक institute एक सिरे से option C के खिलाफ एकजुट हो गए हैं. Are Tamilnadu history books available in Hindi? Please reply…. thank you sir for share best questions & answers. this article is good for best practices. Sir Q15: Sir Napoleanic danger ended by the time subsidiary alliance came. To fill the coffers of british they demanded high fee for maintaining the army. Main aim was british paramountcy. Answer should be B. Sir ,I am Rajesh Kumar, which old and which new NCERT,NIOS for which subjects should be read for Civil services GS Pre Mains? Which topics/chapters in NCERT NIOS should be read topic wise related to UPSC GS Pre Mains? 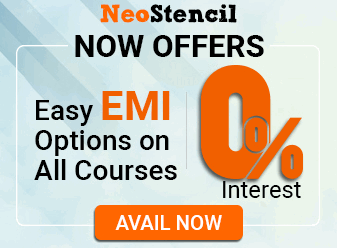 How to read NCERT,NIOS in best conceptual manner ? Topic wise or subject wise?Should short notes from NCERT NIOS be made for revision? If yes ,how to make Short notes from NCERT NIOS? Is it necessary to keep vocabulary books/difficult terminology (word) books of different subject like Polity History Economy Geography Science for best concept clearity. Please help me in this regard for right guidance preparation.Thanks in advance. Sir ,which old and which new NCERT,NIOS for which subjects should be read for Civil services GS Pre Mains? Which topics/chapters in NCERT NIOS should be read topic wise related to UPSC GS Pre Mains? How to read NCERT,NIOS in best conceptual manner ? Topic wise or subject wise?Should short notes from NCERT NIOS be made for revision? If yes ,how to make Short notes from NCERT NIOS? Is it necessary to keep vocabulary books/difficult terminology (word) books of different subject like Polity History Economy Geography Science for best concept clearity. Please help me in this regard for right guidance preparation.Thanks in advance. Sapna-Theory– awesome criticism… Upsc ..